These Hallway Signs Sell Out Fast When In-Stock! Each Unit Is Sold At An Incredible Price. Buy These Hallway Signs Today While Supplies Last! Media Size: 3.75" x 15"
3.75" x 5" 3.75" x 8"
5.75" x 6" 5.75" x 9" 8.5" x 11"
Frame holds (2) 15" x 3-3/4" back-to-back for two directional visibility. Mounts perpendicular to ceiling in portrait orientation, mounts to wall in landscape format. Suction cup included to lift the non-glare lens for graphic changes. 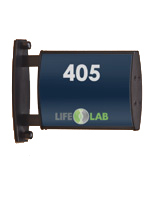 These hallway signs are designed for displaying directories, arrows, warning signs and department names. 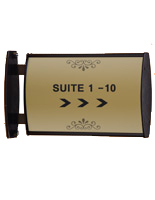 The wayfinding signage systems are constructed to fit (2) 15" x 3-3/4" prints back-to-back. These wall displays, hallway signs are displayed at a perpendicular angle. 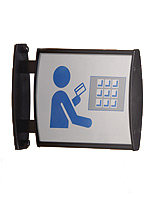 Therefore, visitors and customers coming from a far will be able to view the details on the signage. These hallway signs that are dual-sided gets the attention of those passing by no matter where they are mounted. 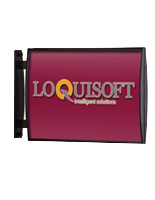 Each unit is sold with a non-glare lens provided to prevent glare from hindering the view of the message. The plastic overlay also protects the signage from getting ruined by other elements. These hallway signs that are made from aluminum are more durable and long-lasting than plastic-made frame . With black finish, these wall displays will match with virtually any indoor environment. 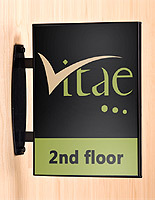 These office hallway signs are very popular and widely use in many businesses to communicate straightforward messages. This feature makes these wall displays ideal for used in large common areas as a direction tool. These wayfinding systems, hallway signs are sold as a frame only. There are no graphics included with the unit. Users are required to prepare their own artwork. These hallway signs that have a curved design can be used alone or as a group to create an effective wayfinding signage system. 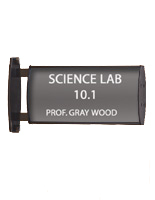 The aluminum plate can be mounted to any flat surface. 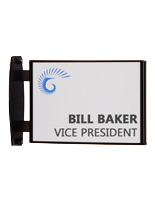 These indoor hallways signs, also known as wayfinding signage systems, are easy to install (with screws provided) to any flat surfaces in only a manner of minutes. Once the unit is installed, users can easily change the graphics directly from the front without detaching the display from the wall area. Customers can used the suction cup provided to lift-up the front plastic lens and then place graphics behind the lens. The easy-to-use design makes these wayfinding systems ideal for use in locations with constantly changing signage. 16.9" x 5.1" x 1.5"